Sheet masks have been all the rage lately for their ease of use and convenience. Simply place the mask on your face and relax for typically 15-20 minutes as the mask does its job. 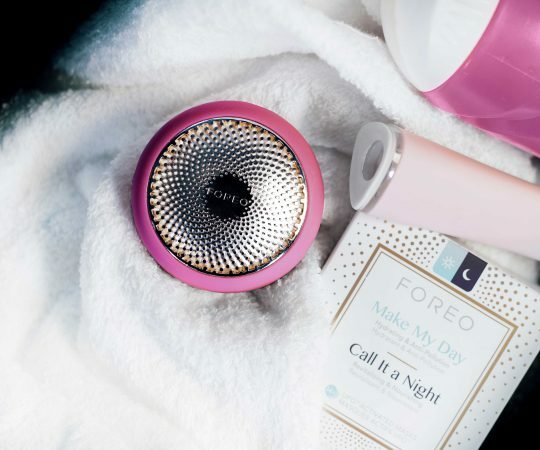 However, for those who don’t have 15-20 minutes to spare for sheet masking, the newly announced FOREO UFO (Ur Future Obsession) might be perfect for you. FOREO is known for their LUNA line of facial cleansing brushes which features a unique silicone design and revolutionized cleansing brushes. During CES 2018, FOREO revealed the UFO and it appears like it aims to revolutionize sheet masking. The FOREO UFO is a small device that cuts down typical mask treatment time from 20 minutes to just 90 seconds. The UFO is 100% waterproof with a medical grade silicone body and USB-charging. The device features Hyper-Infusion Technology which allows the device to alternate between heating or cooling the treatments as well as coupling them with T-Sonic™ pulsations and LED light therapy. The FOREO UFO promises to offer a professional-level treatment in the comfort of your own home. The thermo-therapy (heat therapy) warms up to soften the skin and open pores which will allow the mask ingredients to go deeper beneath the surface. The cryo-therapy (cooling therapy) cools to lift and firm the skin in order to reduce the appearance of pores and any risk of inflammation. The T-Sonic™ Pulsations are FOREO’s trademarked technology which heightens the absorption of active ingredients while delivering a relaxing facial massage. The UFO is also equipped with full-spectrum LED light therapy – a painless, noninvasive skincare treatment renowned for its many benefits – particularly stimulating collagen and refining your complexion. The red LED erases signs of aging and stimulates collagen production. The green LED brightens a dull complexion and evens tone. The blue LED kills acne-causing bacteria and stimulates blood circulation. Yes, yes there is! The UFO can be paired with the FOREO app for iOS and Android to get the most out of the device. While the UFO-Activated masks are pre-programmed, the FOREO app gives access to all future mask treatments. Additionally, through the app, users can reorder masks with a simple click and unlock UFO’s full potential by customizing the intensity of all the UFO settings to perfectly suit their particular skincare needs. Be sure to visit the FOREO Kickstarter for more details as well as to learn about the UFO activated masks and how to preorder.